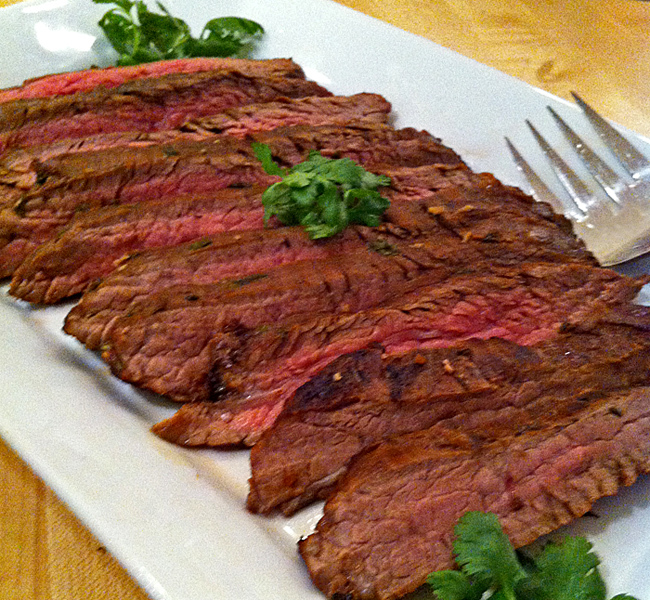 Marinated Asian Flank Steak | Let's Cook With Bry! This flank steak has been a favorite of mine and my guests for many years – the flavors of the marinade are unexpected and wonderful! It can be doubled or tripled depending on the number of guests – the quantities used in this recipe will serve 4 people. Whisk the marinade ingredients together in a 2 cup measuring cup. Meanwhile, wash and pat dry a 1 1/2 pound flank steak, with any fat trimmed off, and place the steak in a ziploc bag. Pour/distribute the marinade onto both sides of the steak. Remove any air from the bag and seal tightly. 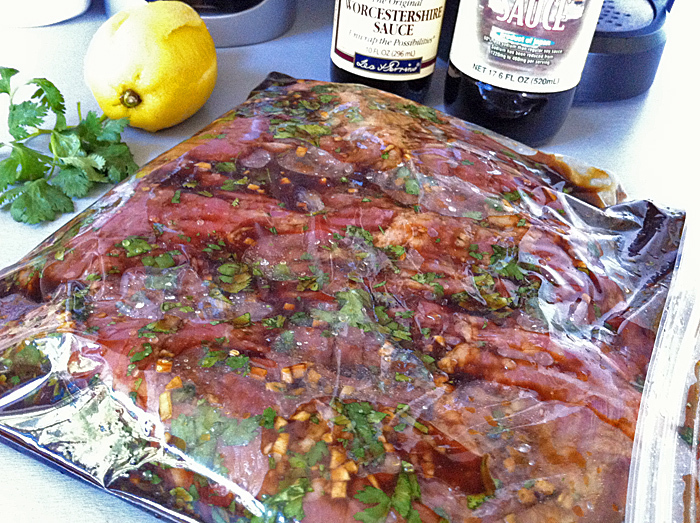 Place the bag in the refrigerator and marinate the steak for at least 6 hours (or overnight), turning occasionally. Preheat the grill on medium-high (or preheat the broiler if cooking indoors). Drain the marinade into a small saucepan and bring to a boil. Grill or broil the steak about 7 minutes per side for medium-rare. Transfer the steak to a platter and let stand for 10 minutes. Thinly slice the steak across the grain. Serve with the marinade as a sauce, which goes great with steamed brown rice and Chinese broccoli.